Site Area : 3340 sq.ft. Built Area : 2808 sq.ft. Sitting in a 60x50 site, this house revels in a playful balance of interior and exterior spaces. 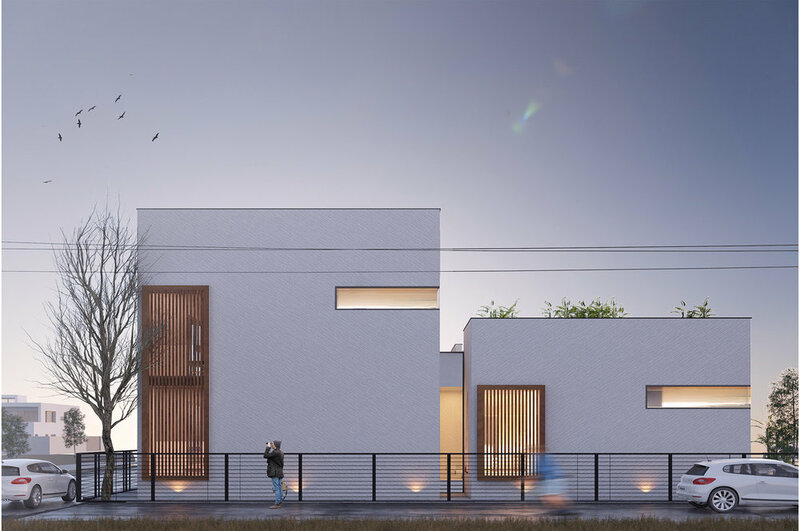 In a sense of almost borrowing from the street, the landscape squeeze in to bring in the exterior into the household at a more intimate scale ,loosely defining the private and more public zones by splitting them into two blocks. The conventional central courtyard is fragmented and displaced to create a sense of openness to be experienced in all the interior spaces . Angular treatment to the openings creates a unique identity to the household meanwhile respecting the site edge and climatic response required.